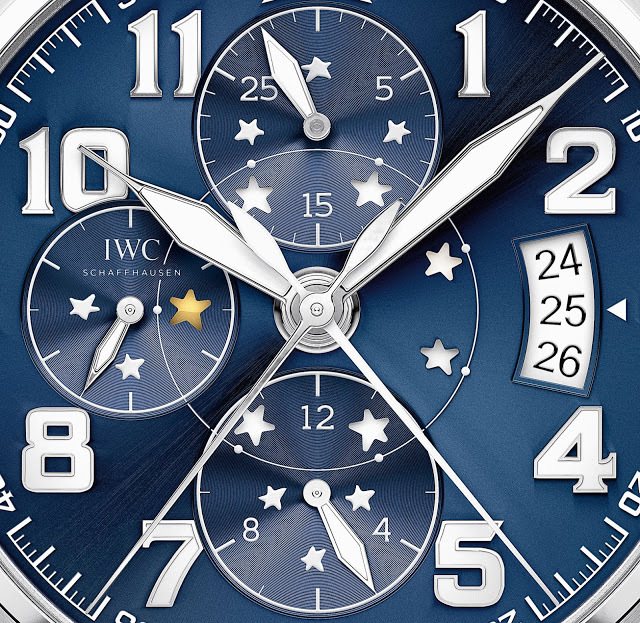 IWC debuts a starry day of the week indicator on the new Pilot’s Watch Double Chronograph Edition “Le Petit Prince”, the latest limited edition named after Antoine de Saint-Exupéry’s famous novel. 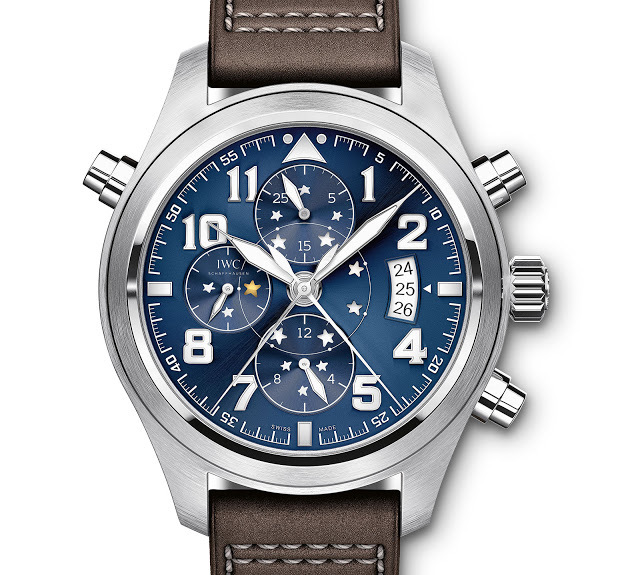 The new IWC Pilot’s Watch Double Chronograph Edition “Le Petit Prince” is similar to past variants of the brand’s signature split-seconds chronograph, with a minor twist. Seven stars around the centre of the dial indicate the day of the week, but not in the way you would expect. Each day the disc below the star cut-outs jumps, highlighting a star in gold to indicate the day of the week. But alas, the disc does not travel in a linear manner, instead it jumps at irregular intervals every 24 hours. Consequently, the wearer is left with the complex task of deciding how the stars represent the days of the week. The seven stars are also engraved on the case back in the same order as the jumps occur on the dial. Each star on the back is engraved with the name of a character from The Little Prince, Antoine de Saint-Exupéry famous work. Typical of the Saint-Exupéry editions, the Double Chronograph Edition “Le Petit Prince” has an attractive deep blue dial with a metallic finish and sun ray brushing. 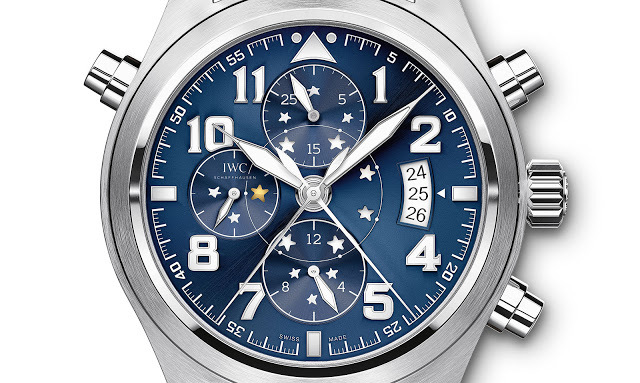 Continuing the starry theme, a sprinkling of stars decorate the chronograph registers. Inside the 44mm case is the split-seconds chronograph movement long used by IWC, first invented by Richard Habring some 20 years ago. Based on a Valjoux 7750, it’s a concise and simplified execution of a traditionally fraught complication, an admirable feat of engineering. 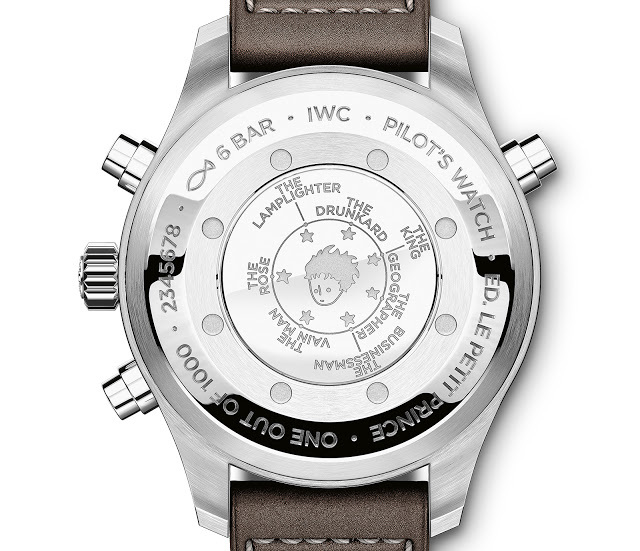 The Pilot’s Watch Double Chronograph Edition “Le Petit Prince” is limited to 1000 watches with a retail price of US$12,700 or S$18,200. IWC has just announced the seventh Laureus Sport for Good Foundation watch. This year the distinctive metallic blue dial of the Laureus series is applied to the Portuguese Yacht Club Chronograph in a limited edition of 1000 pieces.